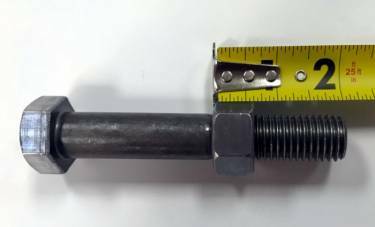 How does Portland Bolt measure thread length? We run the nut onto the bolt until it stops, and we measure from end of inward face of the nut to end of bolt. This does not include any thread runout which can range from ½” long for ¾” diameter and 1-1/4” long for 2-1/2” diameter and larger.